In the 10th century in Ethiopia in the Jewish Kingdom of the Beni Hamwiyah (also called Beta Israel and Semuin) a long line of Jewish kings had reigned since the 4th century. It was in the fourth century that the Christian Solomonic Kingdom began while the Jewish branch continued at Semuin. 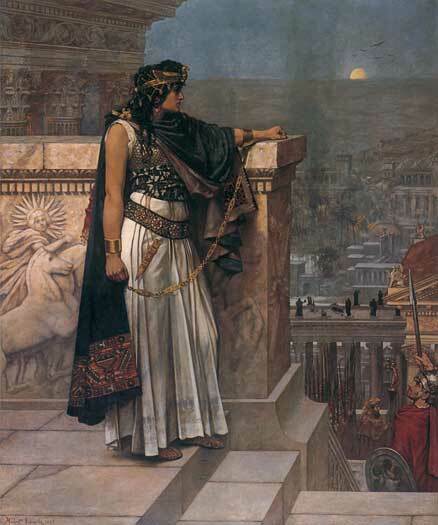 It is in the 10th century that the figure of the great conquering Jewish Queen known as Judith or Gudit appears. She restores Jewish rulership to the whole of Ethiopa under the Zagwe Dynasty. Judith's father King Gideon (Gedajan) the Jewish King of the Jewish Kingdom of Semuin married Esat (Esther)the daughter of the Christian Solomonic Emperor Wedem Asfare around 930 AD. Mar David the Khazar King of Taman's son Tzul (Zenobius / Tzul ben David /Zavid) in about 948 decided to visit Fatimid Jerusalem and then to head further south to Egypt, Nubia and Ethiopa. He visited the Kingdom of Georgius II of Makhuria (Nubia) and where he took an additional name of Georgius in honour of the great hospitality of the King. Mar David's wife was a Bagratuni princess called Tamar the daughter of Bagrat II of Kartli (r.976-978) and Abkhazia (978-1008) and his wife Rhipsime of Armenia sister of Ashot III. Next Georgius Tzul (Zenobius) visited the Jewish kingdom in Northern Ethiopia where he married Gudit (Judith/ Gurandukht/ Duka) the daughter of King Gideon and Queen Esther of the Falashas. Zenobius (Tzul ben David /Zavid) as a trained and experienced Khazar warrior aided the Jews of Ethiopia in their fight with the Christian south. However Georgius Tzul received word around 988 that his father's Khazar Kingdom of Taman was under attack and he left Ethiopa to go to the aid of his father. Judith then led her Jewish warriors into battle and established her son Mar Takla Haymanot on the Imperial Throne and she married him to Masoba Warq the daughter of Dil Naod the last emperor of the older Solomonic Christian Dynasty. The Zagwe Dynasty was also known as the House of Moses as they claimed male descent from Moses. However this Moses was the Khazar King Moses (also known as Morovec and Marot) who was the ancestor of Georgius Tzul of the Khazars. 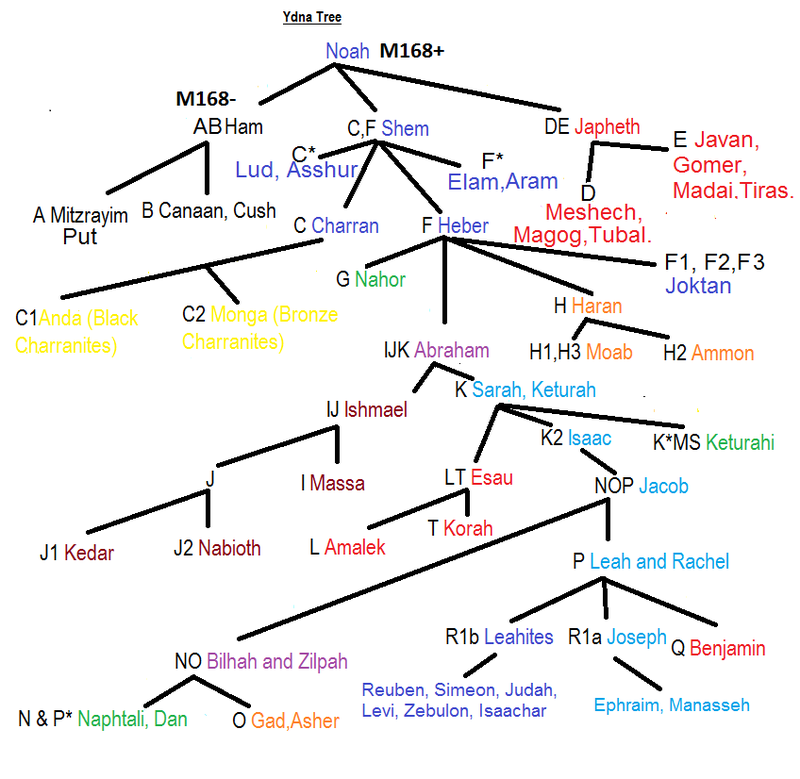 Other writers claimed that the Zagwe Dynasty descended from Moses and Aaron and in fact the Khazar King Moses (Marot /Marovec) was the father of King Aaron I (Aharon) of Khazaria. David the Khazar King of Taman was a son of King Aaron II of Khazaria. 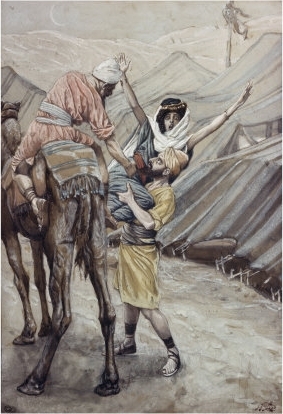 Leaving her eldest son on the throne of Ethiopia Queen Judith went to join her husband in the Crimea with two of her younger sons Bagrat and David. 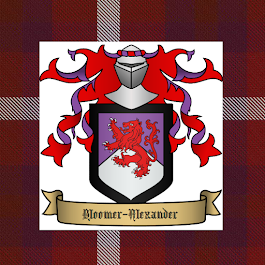 Through their Bagratuni blood through their grandmother Tamar both of her sons were to become Kings -Bagrat III of Georgia and David I of Lori. Bagrat III's son George I of Georgia had a daughter Gurandukht who married Prince Smbat of Lori a brother of King George (Kyurike) II of Lori. Prince Smbat and Gurandukht's daughter was also called Gurandukht and she married Alp Arshan the Muslim Sultan of the Great Seljuks. Prince Smbat of Lori and Princess Gurandukt of Georgia also had a son called Ruben who was to become the first Rubenid King of Armenia. His daughter Princess Rusudan of Armenia was the first wife of King David IV the Builder of Georgia. King Ruben I of Armenia married Euphrosyne of Polotsk the daughter of Vseslav Prince of Polotsk. Queen Euphrosyne was the aunt of the famous St. Euphrosyne (Efrasinnia) of Polotsk. Alp Arshan's daughter Gurandukht married King Atraka of the Cuman-Kipchaks. Atraka's daughter Gurandukht was the second wife of David IV King of the Georgians. David IV's daughter Gurandukht (Judith /Gudit) married Prince Mairari of Ethiopa (son of the Jewish Emperor Harbe of Ethiopia). Prince Mairari of Ethiopa was the father of Duka or Judith (possibly Qirwerne) who married Andronicus Komateros Doukas (the Byzantine Ambassador to Jerusalem). The Doukas used in her husband's name refers to his wife Duka (or Judith) rather than the Doukas family. An earlier Andronikos Doukas was a son of Georgius Tzul (remembered as Gregoras Doukas in some genealogies) and Judith (Duka /Guran-dukht) Queen-Empress of Ethiopa. Andronikos was the father of Emperor Constantine X Doukas. The Kamateros family had long been associated with the Khazars since their ancestor was the chief engineer of the Khazar city of Sarkel. Qirwerne (or Duka / Judith) is also said to be the second wife of Grand Duke Iziaslav II of Russia. Many genealogists state that she was the daughter of King Demetrius of Georgia whereas she was in fact his niece by his sister Gurandukht. In fact Princess Duka and Princess Qirwerne may not be the same person but two sisters or half sisters. Duka or Judith being the Emperor Lalibela's sister who went to Jerusalem and Constantinople with him and Qirwerne his half sister who tried to poison him. Duka and Andronikos's daughter was Euphrosyne Kamertera Dukaina who married her kinsman the Byzantine Emperor Alexius III Angelos. Queen Charlotte of England the wife of George III is a direct female line descendant of Princess Duka of Ethiopia and Georgia. Euphrosyne's sister Clementia ( Kamartera / Clemencia) married Aimon I Count of Faucigny and the direct female line ancestress of Mary Queen of Scots. Another daughter of Duka (Gurandukt) was also called Gurandukt who married Khuddan the King of Ossetia. Their daughter Burdukhan (also called Gurandukt) married King George III of Georgia and she was the mother of the famous Queen Regnant St.Tamara (Tamar) the Great of Georgia (see picture above). Queen Tamara's female line descendant was Princess Rusudan of Trebizonde who married Mikheli II King of Imereti (his mother Theodora Paleologus was a princess of Constantiople and a niece or daughter of Michael VIII). Their daughter Theodora Angelina of Imerati married Nikephoros Kantakuzenos the first cousin of Byzantine Emperor John VI Kantakuzenos. Their daughter Theodora Kantakuzenos was the wife of Alexius III Emperor of Trebizonde. Their daughter Princess Anna of Trebizonde (b.1357) married King Bagrat V of Georgia. Their daughter Princess Tamara (Theodora) of Georgia married Ivan Alexander the Czar of Bulgaria. She was also known as Kara or Kera Tamara which means Black Tamara). Their daughter also called Kera Tamara married Constantine Dragas Prince of Serbia and their daughter Helena was the Empress of Constantinople the wife of Manuel II. Emperor Manuel II of Byzantine and his wife Helena's eldest daughter Zabia (Isabella) married the Genoan leader Hilarion Doria. Their daughter was Tiolante (Valentina) Doria who married Francisco II Gattilusio Lord of Lesbos and they were the parents of Caterina Gattilusio who married Baron Pietro Grimaldi de Bueil. Their daughter Baroness Caterina Grimaldi married Marino Doria Lord of Lesbos. Their daughter was Lenor Doria who married Rui Goncalves Vellosa. 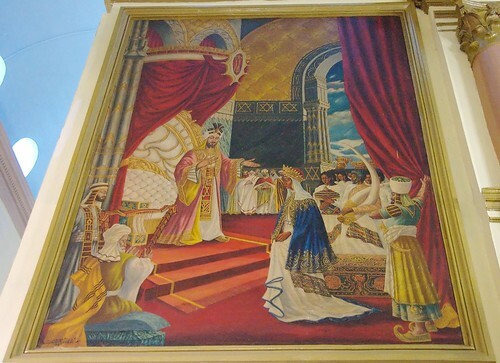 Queen Judith of Ethiopia's daughter Catramede married Gagik I King of Armenia. Their daughter Khoschousch of Armenia married Senakerim II King of Vaspurakan. Their daughter was Miriam Arcurni who married George I of Georgia. King Gagik I of Armenia and Princess Catramede (Katra/ Katerina) were the parents of Princess Rusudan of Armenia who married Vseslav Prince of Polotsk. It was through this marriage that Ruben I of Armenia was to the claim the Armenian Kingship when he married Vseslav and Rusudan's daughter Euphrosyne. Another daughter of Queen-Empress Judith was Esther (Esat) who married her kinsman Prince Yerukom (Joram) of the Bene Israel of Ethiopia. Their daughter Esther (Esat / Esthereke)[b.1010 d.1039] was the first wife of King Casimir I of Poland. Legends about this Jewish Queen Esther became transferred to Casimir III and his time. Casimir and Estereke were the parents of Judith Maria (b.1036) who married Kuteshk of the Pechenegs. Casimir and Esthereke's daughter Esther or Esat was the wife of Emperor Germa Seyum of Ethiopia. Prince Jerukom is the ancestor of King Gideon V of the Bene Israel or Gideonite Kingdom. The chroniclers have sought hard to hide the identity of these Black Jewish Princesses. Kuteshk and Judith Maria had a daughter called Judith who was the second wife of King Solomon of Hungary. She has been confused with his first wife Maria of Swabia. King Solomon of Hungary had one daughter with his wife Judith of the Pechenegs called Princess Judith Sophia of Hungary who married Poppo of Berg. 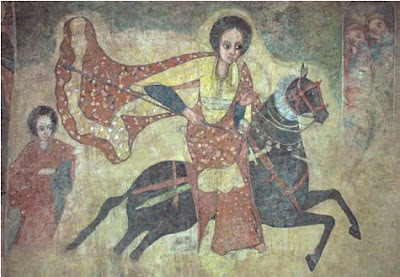 Another daughter of the Jewish Queen-Empress of Ethiopia was Gudit or Judith who was also called Geberga and married Henry of Schweinfurt (Nordgau) in Bavaria (d.1017). Their daughter was Judith of Schweinfurt who married Bretislaus I Duke of Bohemia. Another daughter Elica of Schweinfurt married Bernard II Billung Duke of Saxony. Their daughter Gertrude of Saxony married Floris I Count of Holland and secondly Robert I Count of Flanders. Gertrude of Saxony and Foris I of Holland had a daughter Queen Bertha of France the first wife of King Philip I of France. Judith (also known as Geberga) also married Dietrich I (Theodoric) Count of Hassenger [born 952 d.1001]. They were the parents of Count Dedi (or Dedo) of Hassenger the male line ancestor of Queen Elizabeth II. The datings of these ancestors of Queen Elizabeth II are disputed by historians. A certain confusion is found in the records of this time due to an effort to cover up the Jewish Ethiopian and Khazar ancestry of these families. The Queen-Empress Judith of Ethiopia was herself of Khazar ancestry through her mother's maternal ancestry. Her grandmother was a Princess of the Kingdom of Makhuria (Nubia). She in turn was the daughter of exiled Khazar Mamelukes who rose to rule Egypt in the 9th century. Princess Tul of Scotland the daughter of King Lulach of Scots was also descended from the Khazar Tulunids of Egypt through her mother. The original Khazars were red haired with blue eyes and white skin. The so called Kara Khazars (Black Khazars) were those who had intermarried with the Makhurian and Ethiopian royalty with their followers who came to join the Khazars from Egypt and Ethiopia on the fall of the Tulunid Dynasty and the restoration of Christian rule in Ethiopia. The name of Kara Hatun and Fatma Hatun are found among the Muslim and Turkish Ruler's families descended from these black Princesses. Kara Hatun meaning Black or Dark Lady. Queen Empress Judith's ancestress High -Queen Zabibe of the Rhodan Empire was the wife of the Ethiopian Emperor Rema Tzion Geza. Zabibe was descended from Queen Zabibe of the Kedarites who fought the Assyrians. This older Queen Zabibe (b.750 BC) was descended from the Queens of Sheba. 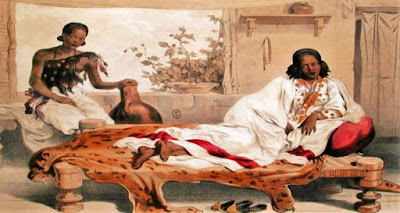 The Traditional Ethiopian accounts have confused Makeda with the Queen of Sheba. The Queen of Sheba is Hapshepsut Queen of Egypt, Ethiopia and the southern Empire of Rhoda who came from the ends of the earth (Western Australia) to visit King Solomon. Makeda was the grandmother of Queen Hapshepsut. Solomon married Queen Hapshepsut's sister Hapshepsut-Meryte (also called Nefrubity). However the name Makeda is Maatkare in Egypt and Hapshepsut also is known as Maatkare. However it was Makeda (Maatkare) Amanitakaye daughter of Psusenne II the High Priest of Amun in Thebes who was the mother of Menelik (Malonaken) King of Nubia who lived in the 5th century BC. Maatkare married Aramatleko King of Nubia/ Kush and they were the ancestors of the Solomonic Kings of Ethiopia. 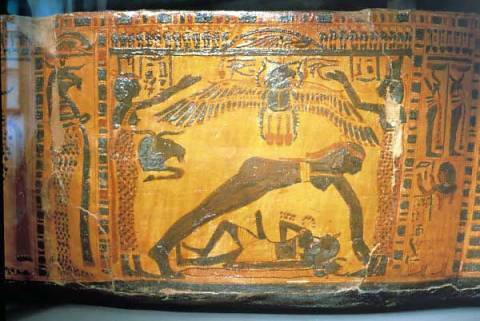 Aramatleko was also known as Siamun (Solomon) as Pharaoh of Egypt. Their daughter Henuttawi was the mother of Maatkare who married Osorkon (Sokhor /Socho) the Milesian Libyan Prince of Egypt. The name Maat comes from a legendary Queen Maat or Mu (Moo / Ma) who was deified as the Goddess Maat. Ma-atkare is the same as Ma-keda. These Milesian Libyan Princes were also called Meshwesh and their leader was known as the Great Chief of Ma (or Mu). The name of Mu is connected to the Moon and another name used for these people was Libu which is the origin for the name Libya but actually refers to the Moon which is Lebanah in Hebrew. These Milesian Princes are a branch of the Milesian Davidic House of Nathan that went South to Mu (the Southern continent). Herodotus states that they partly descended from Trojan (Rhodan) refugees. The Trojans are paternally descended from the Tribe of Reuben (R1b-M335) and from the House of Zerah-Judah (R1b-M73) through Darda (or Dardanus). The Milesian Princes were descended from a series of Viziers of Egypt including Heman (Hemon) the architect of the Great Pyramid belonging to the Israelite House of Zerah-Judah. Some of them were the founders of Troy, Thebes, Athens, Miletus and Messina. One branch became the Royal governors or Great Chief (Nasi / Nasu) of the Egyptian-Israelite colonies in Mu [the Southern continent also known as Rhoda (Ares/ Mars]). 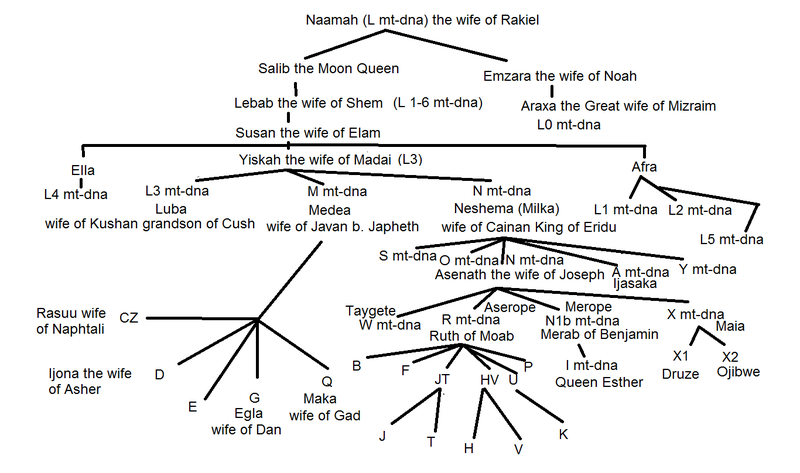 In the time of Solomon a branch of the Davidic House of Nathan would move to Rhoda (Mu) and intermarry with the House of Zerah -Judah and the High -Queens or High -Priestesses of Mu of the House of Dinah. The Libu or Mu came from ancient Australia (Mu/ Rhoda/ Sinim) via the Americas. America was then divided into three Islands as Central America was then an island between South America and North America. These Islands were known as the Isles of Barzel and part of the Rhodan (Eridu) Empire. They settled in the area called today Morocco (Amerruk). They established the Libu (Berber) Kingdom which stretched across North Africa from Morocco to Libya, Sudan and Ethiopia. They seized back these territories from their enemies the Ammuru (Amu/ Hyksos) who ruled Egypt and North Africa after the Exodus. The Hyksos of Egypt conquered these territories from the Pelasgians (Philistines/ Atlanteans) and the Pelasgians fled north and settled in Crete, Greece and Palestine around 1300-1200 BC. It is important that one doesn't confuse these Princes and Queens of Mu (Rhoda) with the Amu (Amurru / Hyksos /Amakelites / Aramaens / Amorites) who left the Southern Continent of Mu after a series of disasters and moved to Arabia and then into all Mesopotamia. The Amu entered and conquered Egypt after the Israelite Exodus. They were an aggressive warrior people who worshipped Ares (Mars / Rudiobus). They were the descendants of Aram (J y-dna) who moved to the South to the land of Sinim (Australis) around 2500 BC where they established an advanced civilisation. Beginning with a series of disasters around 2300 BC connected to the planet Mars the Amu started to enter Arabia and Mesopatamia. Amalek the Warrior General of the Amu warriors led an uprising against the hereditary High- Queens of the Rhodan Empire (Mu). The name Rhoda means Red but was also originally Eridu and it was Cainan King of Eridu that established the Rhodan Empire. His wife Milkam was the first Queen Mother or High Queen of Mu. 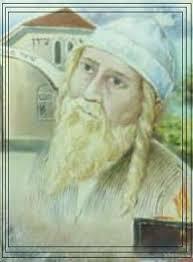 Around 2300 the Great Chief of Mu (Rhoda) was Eber the Prince of Heber. Heber was one of the Principalities in the Southern Continent. Around 2300 Heber moved to Mesapotamia and established the city of Ebla. Sarah the wife of Abraham is the younger sister of Milka (Milkam) the High-Queen of Mu, Harran and Ebla. Their father Haran Prince of Harran married Zugalum the High Queen of Mu and Princess of Ebla (Heber). Rachel and Leah's mother Adinah was the High Queen of Mu a daughter of Abida the son of Midian the son of Abraham and Milkam the High Queen of Mu (a daughter of Nahor and Milka). In the time of Abraham it was permitted to marry a half-sister if she was not from the same mother. The Ethiopian King lists are in very good shape and only confused by the two Queens called Maatkare or Makeda. They are much more accurate than the constructions of the Egyptologists. The exception is the Zagwe dynasty which has been rather muddled by the Ethiopia historians. The children of Queen-Empress Judith of Ethiopia and King Georgius Tzul (Zenobius / Zavid) King of the Khazars. 11. Princess Duka (Djukta / Judith) of Ethiopia married Andronikus Komateros Doukas (and secondly Isiaslav II of Russia). 94. High -Queen Nefertiti Tadu-Hepa (Tadukhipa / Tabua / Kiya) of Rhoda and Mitanni (Media and Assyria) and Queen of the Kedarites (b.740 BC). She was known as Aphrodite to the Greeks and as Venus Victrix to the Romans. She married Akhnaten (Amenhotep IV) Pharaoh of Egypt (R1b-M269 ydna) who was known as Anchises or Aeneas or Oedipus to the Greeks and Romans. 100. High - Queen Nebetiunet of Rhodan Empire married Prince Mattata of Israel (yibum)son of Prince Nathan of Israel. 103. High -Queen Kandake (Chandika / Makeda) of Rhoda (b.920 BC) married Shiva (also called Kedar/ Kedarnath / Rudra) Royal Governor of the Rhodan Empire and Prince of the House of Zerah-Judah. 142. High- Queen Khentkaus the younger (Red Rose) of Rhoda married Neferirkare Kakai (Kalkol) Pharoah of Egypt and Founder-King of Athens (brother of Darda (Dardanos) of the House of Zerah Judah). 159. High -Queen Milkam (Queen Mother) of Rhoda (Eridu / Mars/ Ares) (N mt-dna) married Cainan King of Eridu (Rhoda) (K ydna). 9. Emperor Mairari I Takla Hamyanot married Masoba Warq the daughter of the Solomonic Emperor Nil Naod of Ethiopia. 10. King Georgius Tzul of the Crimean Khazars (Zenobius /Tzul ben David / Zavid) married Queen-Empress Judith (Gudit / Gurandukht) of Ethiopia and the Falashas.